Infusion is an inaugural musical program organised by Melbourne University Buddhist Studies Society in partnership with Friends of Vimokkharam Forest Hermitage. 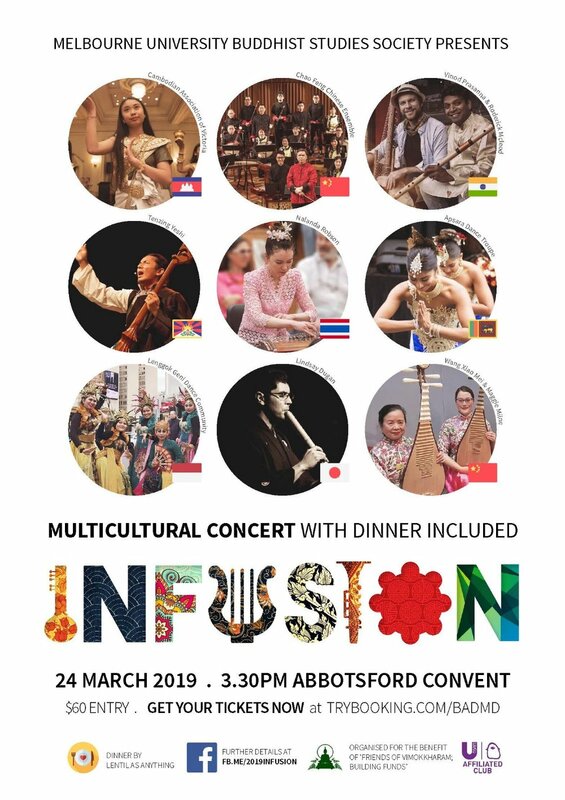 Infusion 2019 is a culmination of contemporary and traditional music of Asia, drawing upon instruments and ideas in collaboration to create music that reflects our 21st century global society. This concert raises funds to support the rebuilding of the Vimokkharam Forest Hermitage in Kallista, which burnt down in 2014.